The lone Atlantic 10 team on the bubble right now, VCU has a big week ahead of itself. 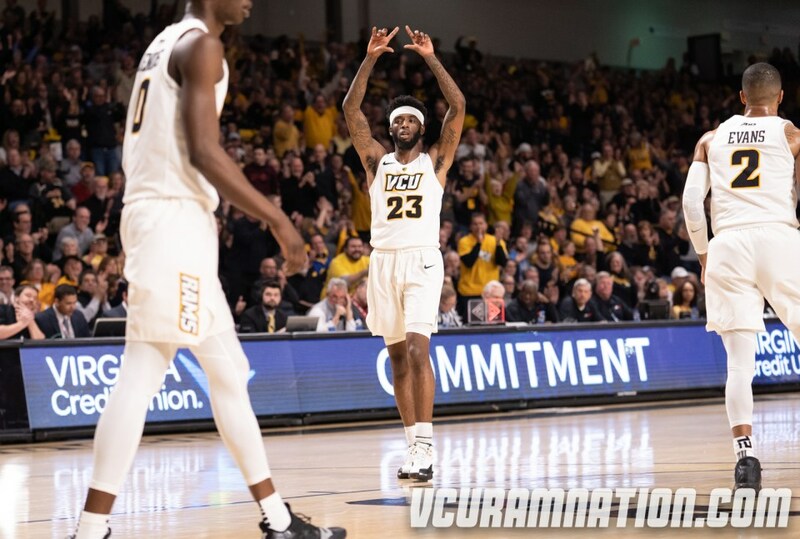 Facing off against the rival Richmond Spiders on Wednesday, the Rams need to take care of business at home. Richmond has struggled this year, entering the contest at VCU with a 10-14 overall record. Nevertheless, crazy things happen in rivalry games. The Rams have to win to keep themselves on the bubble. Following the rivalry game with Richmond, VCU travels to Dayton for another rivalry game of sorts. (This is currently under debate in my Twitter mentions, so I’ll put in a shameless plug. Follow @GrantKelly07 to cast your vote on whether or not Dayton-VCU is a rivalry). If the Rams want to boost their tournament resume, a win at UD Arena would go a long way. It would also provide VCU with separation from Dayton in the A-10 standings. While a loss on Saturday wouldn’t knock the Rams off the bubble, a win would help their NCAA at-large chances substantially. After suffering a brutal loss on the road at UMass last week, Davidson’s at-large hopes took quite a hit. Failing to pick up any signature wins during the non-conference, the Wildcats could ill-afford many slip-ups in the A-10. While Davidson has only suffered two conferences losses thus far, both are bad losses (St. Joseph’s and UMass). If the Wildcats want to creep back onto the bubble, they virtually need to win-out in A-10 play. Although this sounds like a tall task, it might not be as difficult as it seems. Davidson faces only two teams currently above .500 the rest of the way (Dayton and Rhode Island). If the Wildcats can get back on track and rattle off some wins they could find themselves on the bubble come Selection Sunday. If not, Davidson will have to hope for an A-10 tournament championship. Thankfully for the Wildcats, they have as good of a shot to take home the title in Brooklyn as anyone. How Good are the Bonnies?